Toast to a lifetime of health and happiness with this classic set of toasting flutes. The simple sophistication of each lends an air of elegance to your wedding day, engagement party or anniversary celebration. With sand etched personalization, you'll remember your special day for years to come. Toast to a lifetime of health and happiness with this classic set of toasting flutes. The simple sophistication of each lends an air of elegance to your wedding day, engagement party or anniversary celebration. 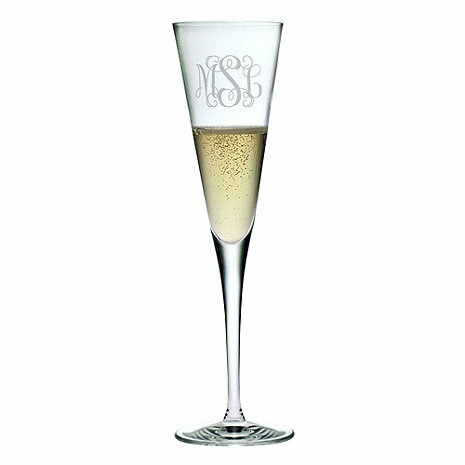 With sand etched personalization, you'll remember your special day for years to come.